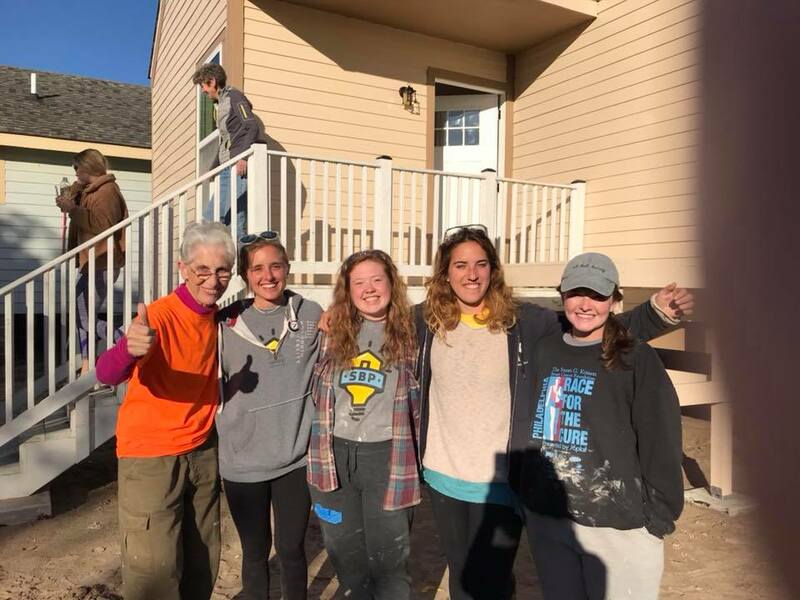 Each year the week before Thanksgiving, Sisters from all over the country, along with their friends and families come to New Orleans to help rebuild a city now in the 13th year of the projected 20-year recovery. Skilled on-site supervisors teach volunteers everything they need to know. No construction experience necessary. Sisters of all skill levels are encouraged to participate. Help rebuild for families still struggling to return home 13 years after Katrina. Help address the housing crisis left in Katrina’s wake by transforming abandoned and blighted lots into affordable homes for first time home buyers. The people of New Orleans need your help! Come volunteer and let this city welcome you the way only New Orleans can!!! 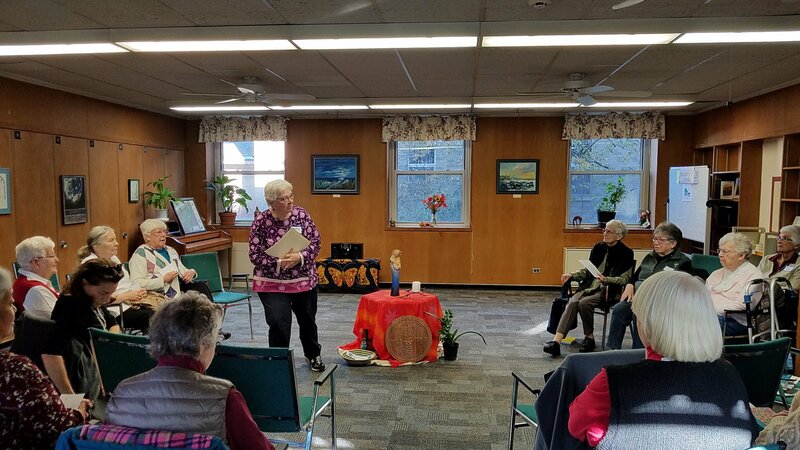 “Go throughout these grey days as bearers of glad tidings,” (Bonhoeffer) was the theme of a mini-convocation held on October 18 at Mariandale, Ossining, New York, sponsored by ROAR. 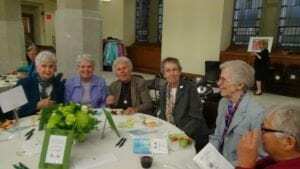 We came together to pause, reflect, and take new steps “along life’s spiral, opening to fresh possibilities for people and the planet.” Ursulines have been active in ROAR (Religious Organizations Along the River) from its beginnings in 1996. 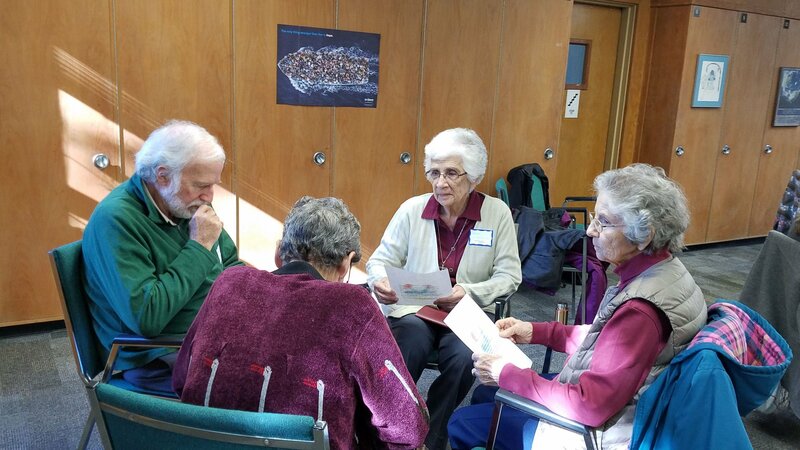 The organization is a network of religious congregations and organizations concerned with the sustainable and regenerative use of land in the Hudson Valley Bioregion. Jackie da Silvia, Alrie Giordano, Ellie Shea, and Mary Sullivan the mini convocation. 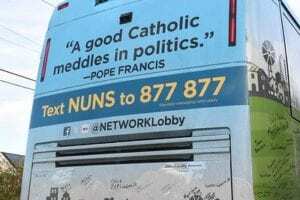 The “Nuns on the Bus Tax Justice Truth Tour” on its way to Mar-A-Lago rolled into St. Louis on October 17th. 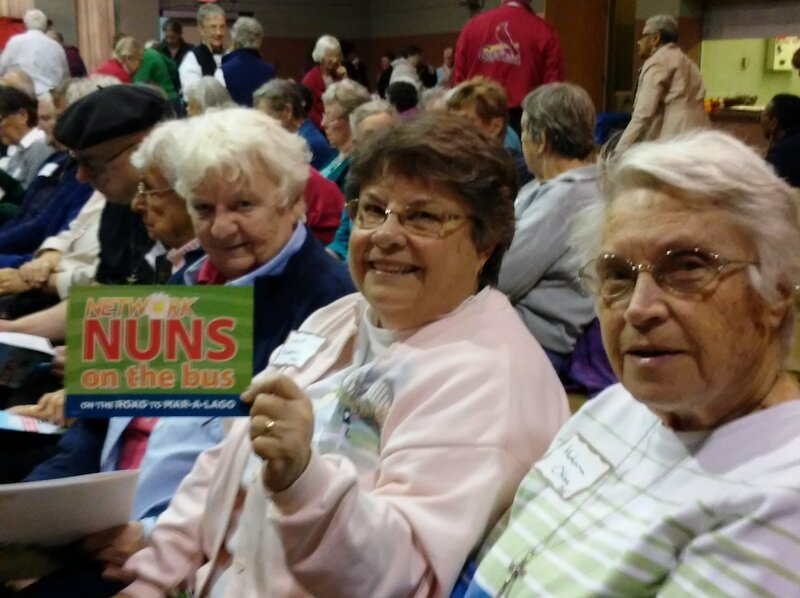 Eight Ursulines of the Central province (Rita Ann Bregenhorn, Adele Brennan, Maria Teresa de Illano, Mary Ann Dooling, Diane Fulgenzi, Jean Hopman, Peggy Moore, Madonna O’Hara) attended the packed rally held at St. Alphonsus Liguori (the Rock) Church. The purpose of the bus tour this year is to raise consciousness about the effects of the tax policy which was recently passed by Congress and how it will impact Americans. Network devised a visual presentation that helped people realize the divide in economic wealth that is only growing wider each day. The impact of this individualistic policy will erode many Federal programs that so many families rely on for help. We were encouraged to speak up and stay engaged. Some ways to do that could be by contacting our representatives/senators, or simply talking together in families or neighborhoods. We were urged to remember the first three words of the Constitution: “We the people.” As we left the rally we were each able to sign our names on the bus. The Ursuline Sisters in the Eastern Province of the USA have been very concerned about Human Trafficking. 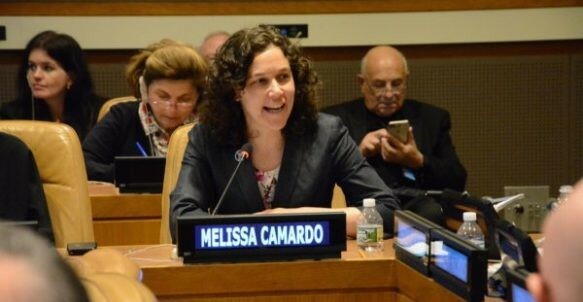 In response to the statement of the USIG in 2001, “to address insistently at every level the abuse and sexual exploitation of women and children, with particular attention to the trafficking of women which has become a lucrative multi-national business.” we joined others in the formation of the Coalition of Religious Congregations to Stop the Trafficking of Persons (CRC-STOP). By 2012 this group of representatives from 34 Congregations representing over 20,000 members and associates were hard at work focusing on three areas of concern; Legislative , Educational and the Provision of Safe Housing for victims of trafficking. The Legislative Committee was very active in efforts that were successful in passing the New York State Anti-Trafficking Law in 2007, one of the strongest laws in the country. 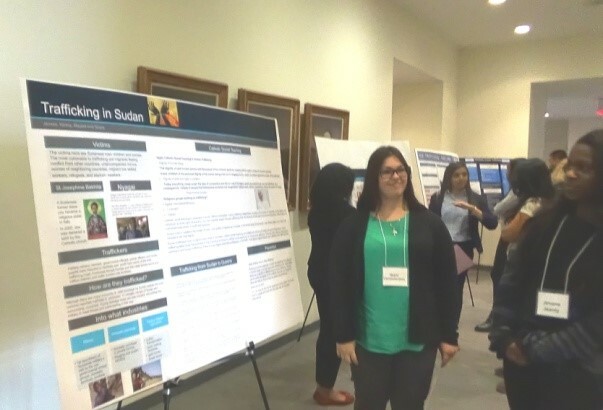 Each year the Education Committee collaborated with local colleges to provide workshops educating all generations on the problems of trafficking in the supply chain, and on the prevalence of trafficking in the area of hospitality, hotels and air travel. Rachel Lloyd, founder of Girls Education and Mentoring Services (GEMS) was given a platform one year and the Immokalee Workers of Florida spoke another time. Students at the colleges were encouraged to research the issues and to participate in various ways. At the start Sisters provided emergency space where women in crisis were able to stay for a few nights. Then, in 2007 Sr. Joan Dawber SC founded LifeWay Network, an effort to provide long term housing. In February 2012 the LifeWay Network Safe House in New York City opened. 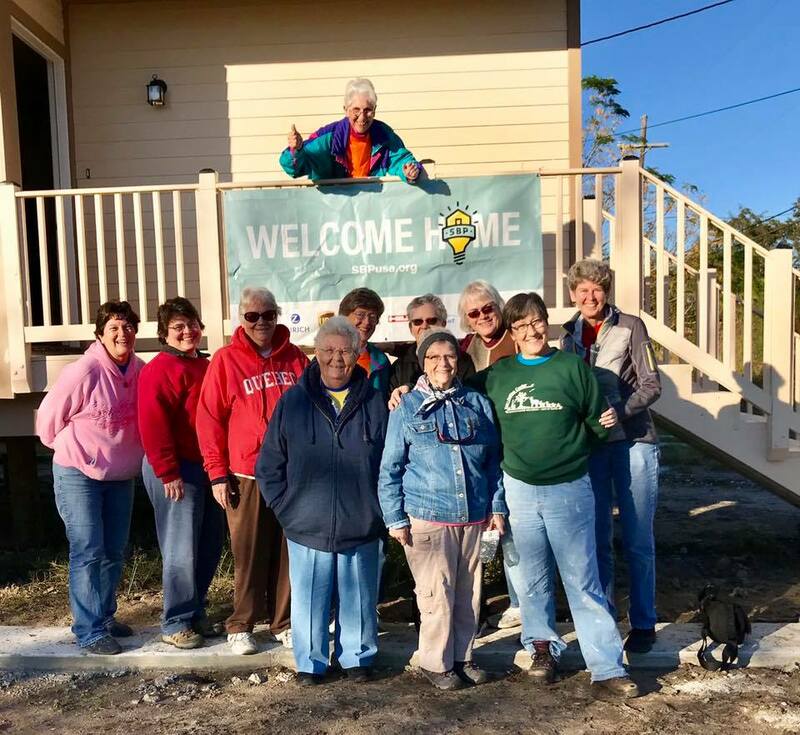 Three Sisters, one, an Ursuline, formed a host community ready to welcome and support the first guests. Collaborating with many organizations including social service agencies and Health providers as well as with legal advocates and law enforcement networks LifeWay Network grew to a staff of nine with thirty regular volunteers. They now have two safe houses that have cared for 28 women this year and two rooms dedicated to emergency stays. At this point in time we, as Ursulines, continue to work together with LifeWay Network in four main areas; funding, volunteering, education and advocacy. Through an annual donation and participation in each year’s Gala Fundraising we continue to support the growing needs of housing and rehabilitation. 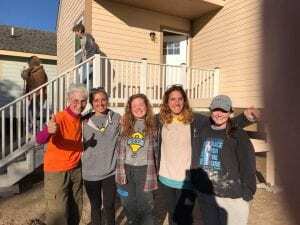 Several Ursulines are regular volunteers, spending time at the house where we come to know the young women and learn about their efforts to enter into therapeutic and educational endeavors so as to gain newly independent lives. We will be part of a new mentorship program for current residents and safe house alumnae. LifeWay Network has provided 51 educational presentations reaching 1,781 people this year. We will continue to support these presentations and to use curriculum materials to raise awareness of the always changing methods of trafficking. We invite you to learn more by participation in US Catholic Sisters Against Human Trafficking https://www.sisteragainsttrafficking.org/joinus and to subscribe to a Stop Trafficking newsletter at http://www.stopenslavement.org. LifeWay also provides relays that help us to advocate in many ways not only to support its programs but to support laws to abolish human trafficking.